Hello everyone. I trust you are all hale and hearty following the Paleo diet. 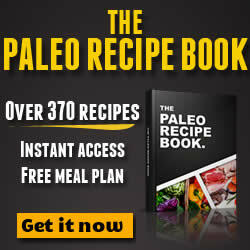 In the previous articles, we have discussed Paleo Diet For Athletes at Paleo Diet for Endurance Athletes. In this article, I will be drilling down into a more specific topic and focus on a particular group of athletes – the runners. Whether you are engaged in running on a professional level or more of a recreational weekend warrior, read on and find out how your performance can greatly benefit from the Paleo diet for runners. Over the years, Paleo diet has been rapidly growing in popularity as more and more people in the general population recognize the benefits of this diet. However, the basic tenets of Paleo diet for runners seem to contradict the traditional practice of carbo-loading among those engaged in running and other endurance sports. In the Paleo diet for runners, the consumption of lean protein, fresh fruits and vegetables and healthy fat are prescribed. On the other hand, food such as processed and refined food products, legumes and grains are completely prohibited. Most runners eat lean protein along with fresh fruits and vegetables. However, there are a number of runners who still heavily rely on processed sugars, grains and starches to fuel their bodies. In the book Triathletes’ Training Bible and Cyclists’ Training Bible author and US Olympic triathlon coach emphasizes the fact that athletes can greatly benefit from the Paleo diet. According to Friel, Paleo supports better and enhanced long-term recovery. This is brought about by the greater supply of micronutrient content supplied in the diet, which allows athletes to train and complete with far greater stress load. As I have already detailed in the Paleo Diet For Athletes article, it is advised for athletes to consume food with low fiber content and low to moderate glycemic index 2 hours before a hard or long workout or race. 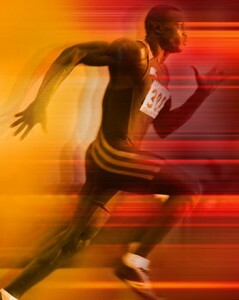 During an athletic event, athletes can process carbohydrates in a form of sports drinks. For events that only last for less than an hour, drinking water will suffice. By consuming low-carb diet, the muscles are taught to use up its fat stores, which are known to be more efficient and can help regulate the blood sugar fluctuations. Following an intense workout, athletes should down a recovery drink with a carb and protein ratio of 4-5:1 ratio. 4-5:1 ratio. Nourishing the body immediately following a workout can help ensure fast recovery and stimulate the rebuilding of muscles. Instead of pasta spaghetti, replace it with spaghetti squash. Pasta is well-loved by everyone, but it’s not exactly the type of food encouraged in Paleo diet. Instead of pasta noodles, learn to prepare a healthier alternative, spaghetti squash, which can be prepared using a microwave oven. Instead of tortilla chips, eat plantain chips. You can prepare this at home easily and use it for creating tortilla chip recipe, minus the tortilla. Feast on big green salads instead of lunch sandwiches. As you know, Paleo diet supports anything fresh, unprocessed and all natural compared to processed food items. As Paleo diet for runners gain popularity, there have been increasing indications of its success. As we continue to learn more about the caveman’s diet, it is actually not absurd to go back to the past and eat what our ancestors ate.